Storing those long-term items has never been easier than with overhead garage storage in Seattle. Seasons come and go, and storage builds up. 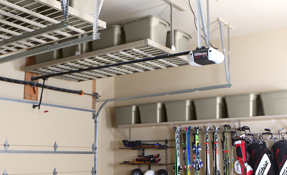 Store those items up and out of the way with our garage overhead racks. 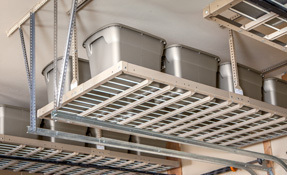 Store hundreds of pounds of storage with our top of the line steel made overhead storage racks. Give your cars the garage they deserve. With overhead storage racks, you’ll be wondering what to do with all the new floor space. While your items are stored and out of the way, they are still just as accessible. 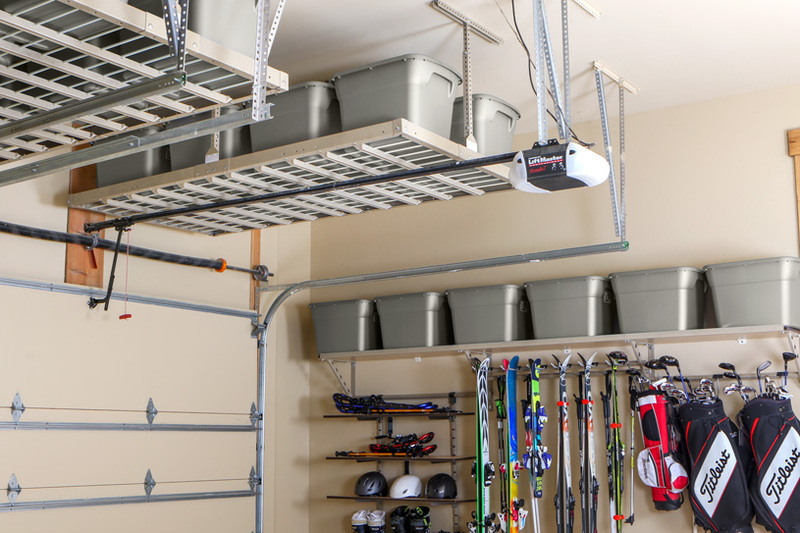 Overhead garage storage in Seattle makes it easy to access your items at all times. Storing your long-term and frequently used items up and out of site allows you to utilize more of your garage. With a simple tap on your smartphone you will be able to raise and lower your overhead system to meet your needs. This durable garage storage lift Seattle homeowners love utilizes the newest technologies to give you peace of mind. Four Bluetooth motors give you complete control over your storage and keeps your items securely overhead. Consume all of that wasted space above with storage that matters. Overhead garage storage in Seattle will take your garage from a cluttered mess to an organized space. 2 Inch Lip: No need to worry about your items sliding around. 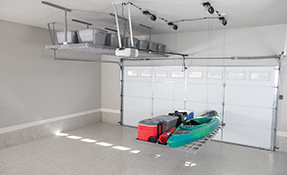 Our overhead storage racks are built with a 2-inch lip around the entire rack to ensure the safety of your items and garage. Long-Term & Short-Term Storage: Perfect for any type of storage, our overhead racks are built to hold those long-term storage items and the everyday use, short-term storage items. Easy Installation: Save yourself the hassle, we will install for you. Giving you more time to focus on your family and decreasing the worry about your garage. Affordable: Storage systems can be expensive. Dream Garage Storage Solutions guarantees you with a fair price that will satisfy your budget so you can get the overhead garage storage Seattle depends on. Utilize Your Space: Cabinets and shelving can tend to get overcrowded in the garage. Stop limiting your space and utilize the unused space overhead with efficient overhead racks. 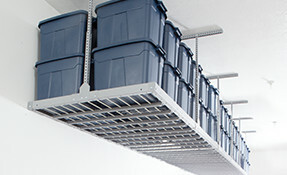 Multiple Uses: Overhead storage racks are great for any building. 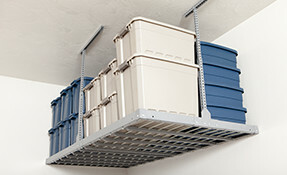 Hang them in the basement or in the warehouse, it’s never too late to start organizing more than just the garage. Start utilizing your garage space today! Call us for a free estimate to see the overhead garage storage Seattle families are raving about! Like what you see? Our products are used in many renovations TV shows: Extreme Makeover, Home Edition, and HGTV's Property Brothers. Contact us today!